Hi everyone, check out the newest cards I've created for JoyClair. 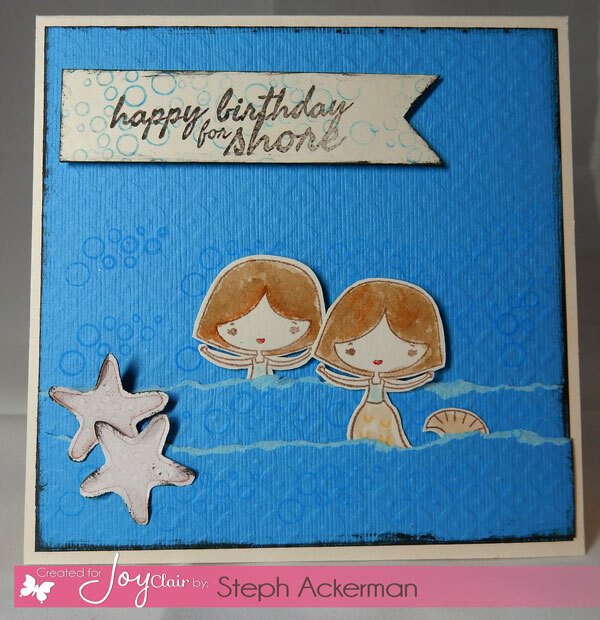 Check out this fun new stamp set called Seas the Day. 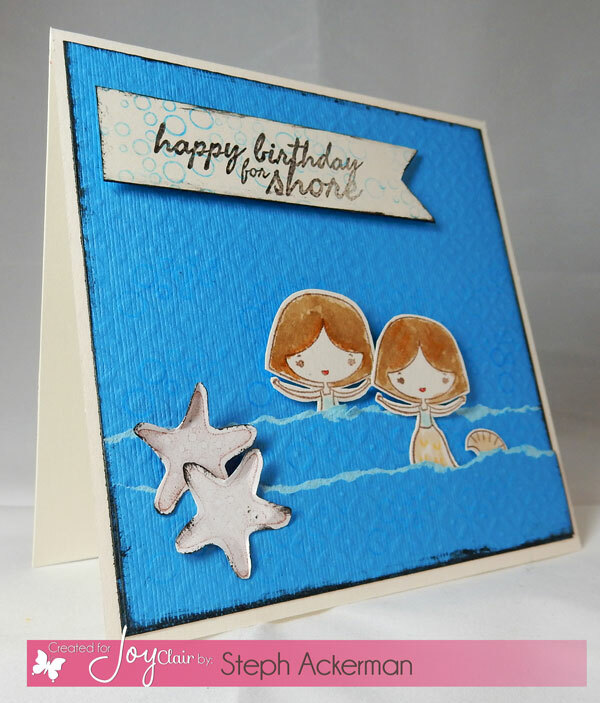 It's perfect for summer creating. 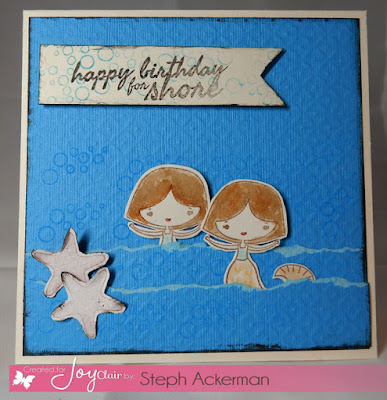 You can tear papers to create waves, or create bubbles with the included stamp as the base for your mermaid. 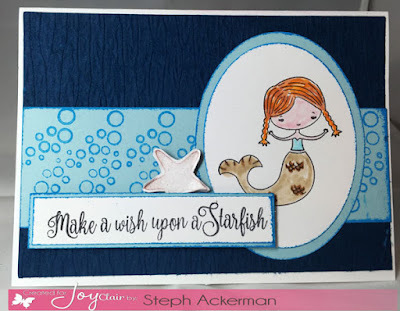 Stop by the JoyClair blog for details and lots of fun projects.